Today, the social Web is driven and dominated by images. These visuals pack a powerful punch, convey a marketing message with a single glance, and significantly increase social media sharing. In addition, the influence of these images is often seen in higher sales and greater consumer engagement. Photo-focused channels like Pinterest, Tumblr, and Instagram are getting more popular by the minute and Facebook completely changed its layout to be much more image-oriented. As a result, savvy brands are regularly including images in their social media marketing, but it’s never too late for a brand to jump on the image bandwagon using the following four strategies offered by MarketingProfs.com. 1. Seek Out Sharable Images – Choose visuals that catch the eye, stimulate the mind and spark the desire to share. A brand’s strongest images can be the basis of an effective social media marketing strategy, so sort though product pictures, ad campaign graphics, logos, and everything possible to find the most exciting and engaging graphics. Select images with an emotional appeal, whether touching, humorous, attractive, or intriguing. It’s also helpful to check out the brand’s social media pages to see the images currently posted and shared by fans, as well as to review advertising metrics to see which campaigns really caught on with consumers. 2. Veer Toward Visual Channels – While most brands are active on Facebook and Twitter, a surprising number haven’t leveraged the power of visual social media platforms like Pinterest, Instagram, and Tumblr. Not only are these social sites exploding in popularity, but they’re also favored by highly influential Millennials. The most effective way to post images to these channels is by choosing compelling and sharable visuals, and then adding comments that encourage engagement. After all, research shows that the brain processes visuals 60,000 times faster than text, so post images to make instant impressions. 3. Track and Assess – Monitoring and measuring are necessary but can be challenging since many tools only track keywords. Part of the solution lies in tagging the brand’s photos, which makes it possible to follow sharing patterns and determine their affect on sales, engagement, and overall ROI of social media. But since images from consumers are not likely to be tagged, the rest of the solution lies in image recognition technology. This advanced technology can search for images that mention the brand at the pixel level. Remember, it’s important for brands to track the public’s brand images since these visuals may be posted in a negative context or altered in a damaging way. 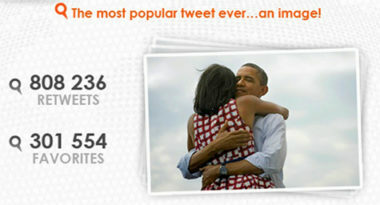 Such image technology can help a brand stay in control of consumer images and maintain a positive social media status. 4. Build Brand Advocates – It’s no surprise that the people who share images of a brand are usually its biggest advocates. To keep these fans and increase their number, it’s important to reward them for their social media sharing. Use social monitoring and image recognition to detect the people who are sharing most frequently and to see the results of their social sharing on sales and engagement. Then, offer the brand’s best advocates exclusive incentives like coupons and special deals, which will encourage them to increase their social media sharing and ultimately boost exposure and awareness for the brand. In the event that a person posts an image with a negative skew, immediately reach out to the unsatisfied individual and try to remedy the situation. By constantly monitoring its online reputation and social media sharing, a brand can keep the peace and keep up their popularity. While image-focused social media marketing may be a recent phenomenon, these strategies are already proving their power for brands of all kinds. Try them to see how a picture can be worth both a thousand words and millions of impressions. Start using images in your social media marketing to spread and sell your brand. Contact MDG Advertising. MDG Advertising, with offices in Boca Raton and New York, NY, is a full-service advertising agency and one of Florida’s top creative ad agencies. MDG specializes in developing integrated marketing solutions, exceptional creative executions, and solid branding and media-buying strategies that give clients a competitive advantage. Our core capabilities include print advertising, branding, logo design, creative, infographic development, digital marketing, content marketing, creative media planning and buying, radio and TV advertising, Web design and development, email marketing, social media marketing, and SEO. For the latest on social media marketing trends, contact MDG Advertising.